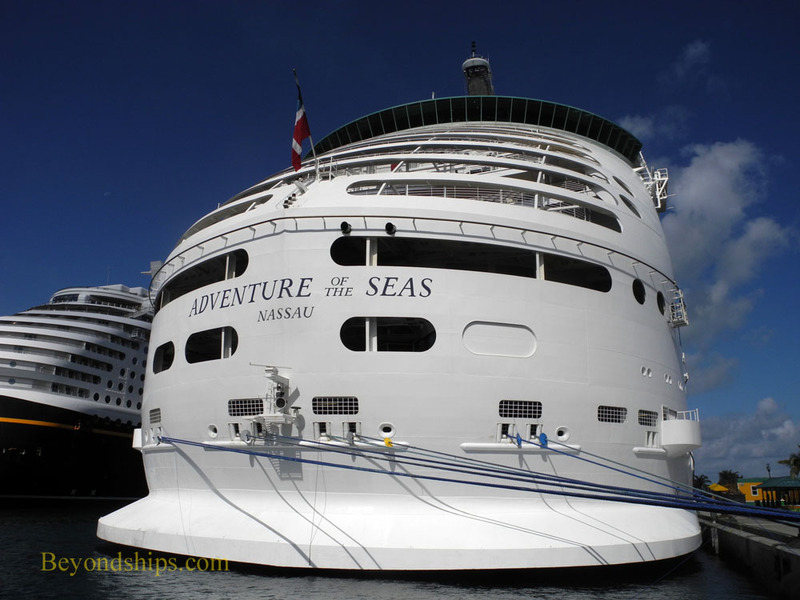 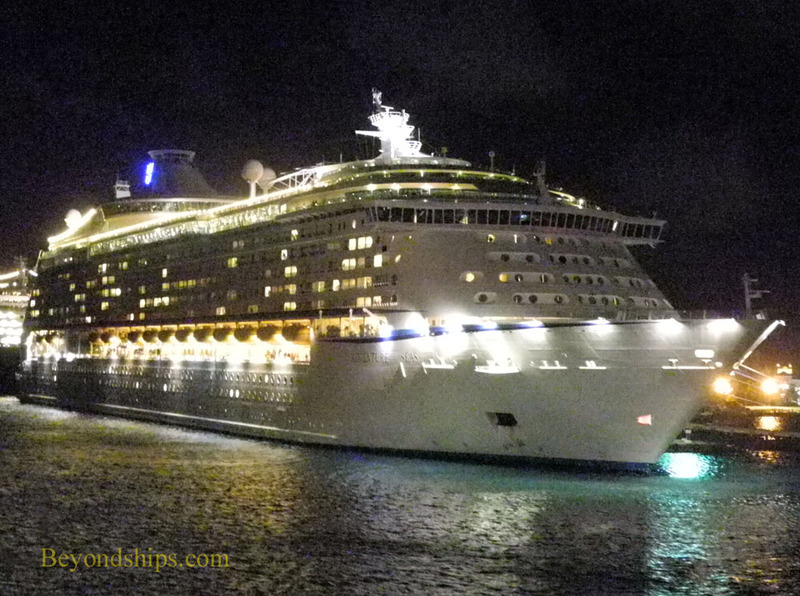 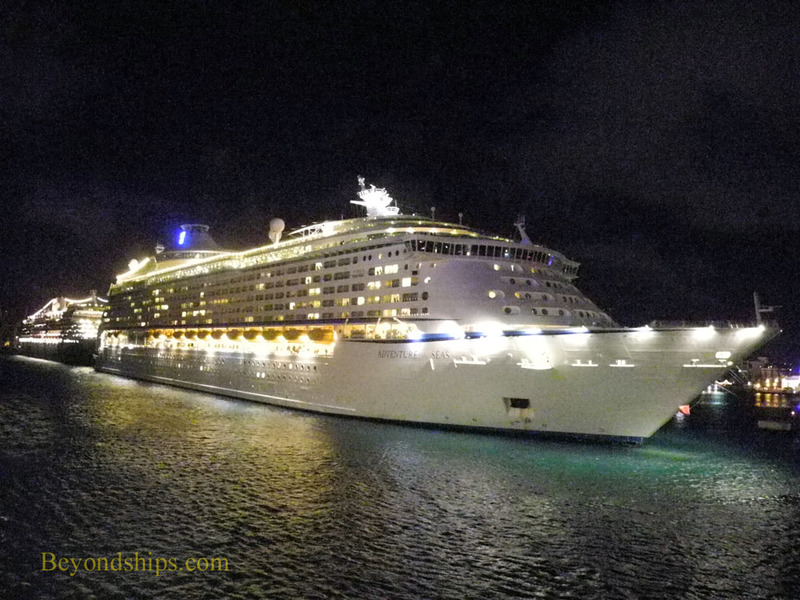 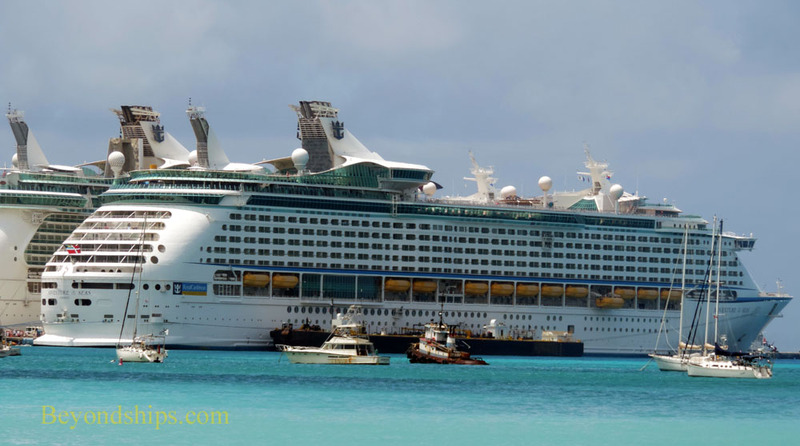 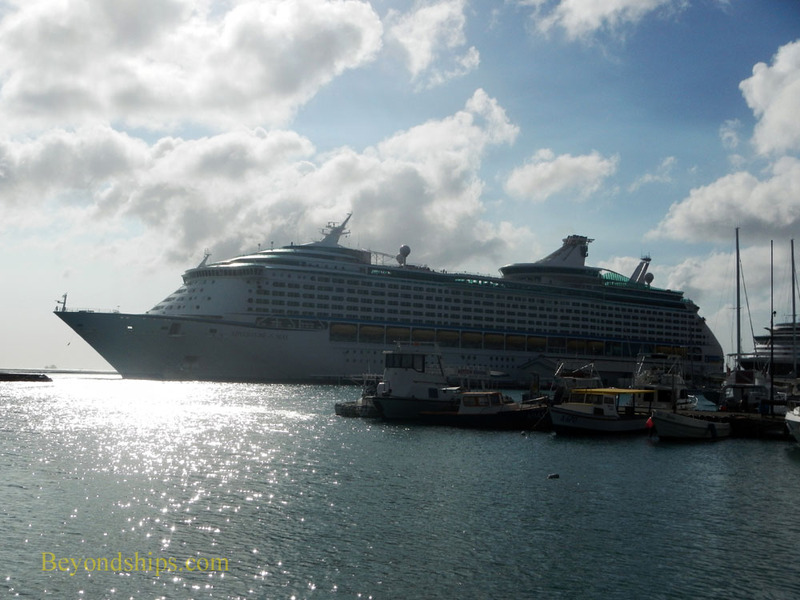 Adventure of the Seas Photos. 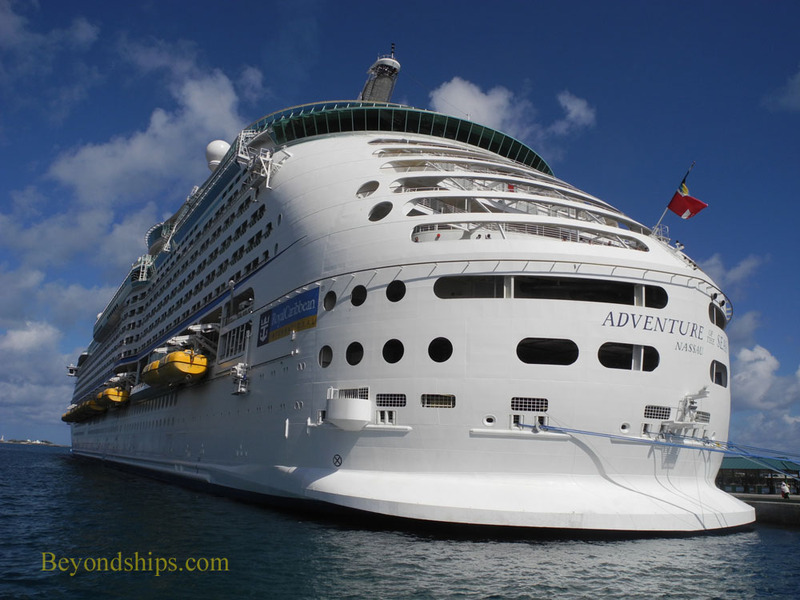 Adventure of the Seas is one of those ships that gets around. 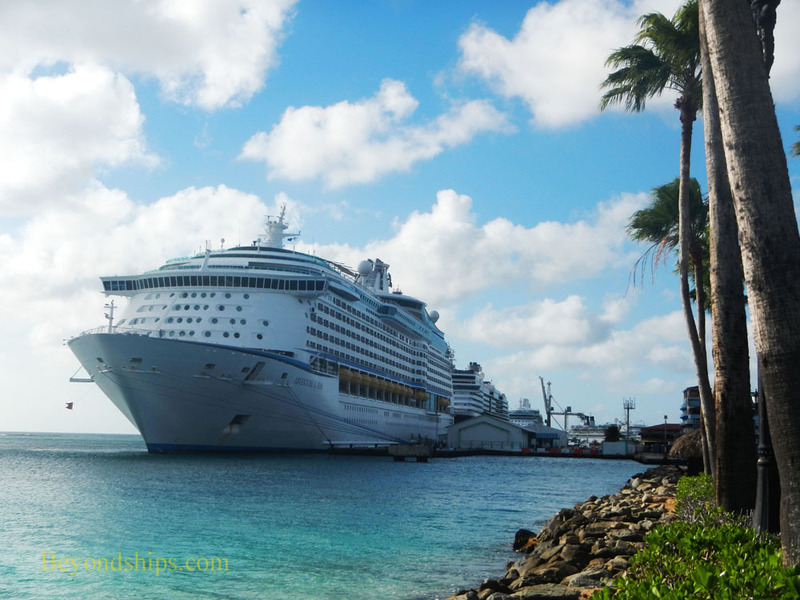 In this photo essay, we see her in four Caribbean and four European ports, which is by no means all of the places she visits. 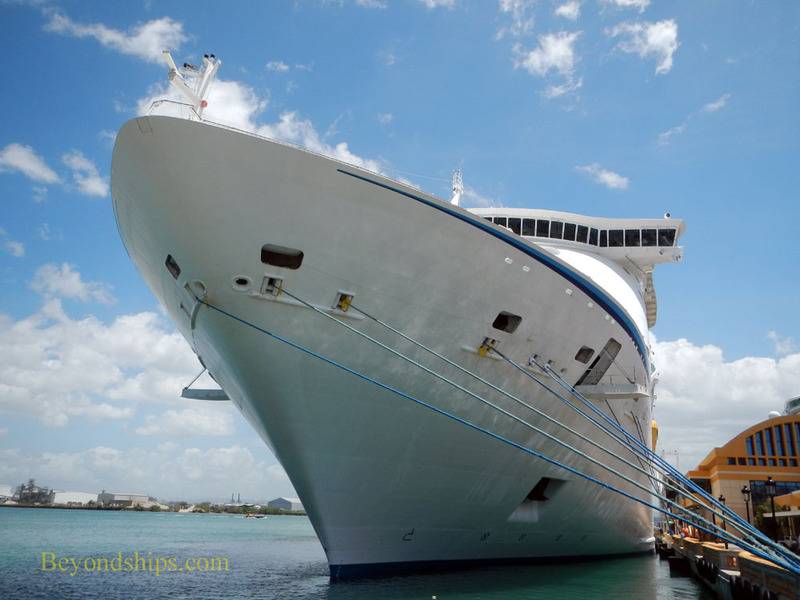 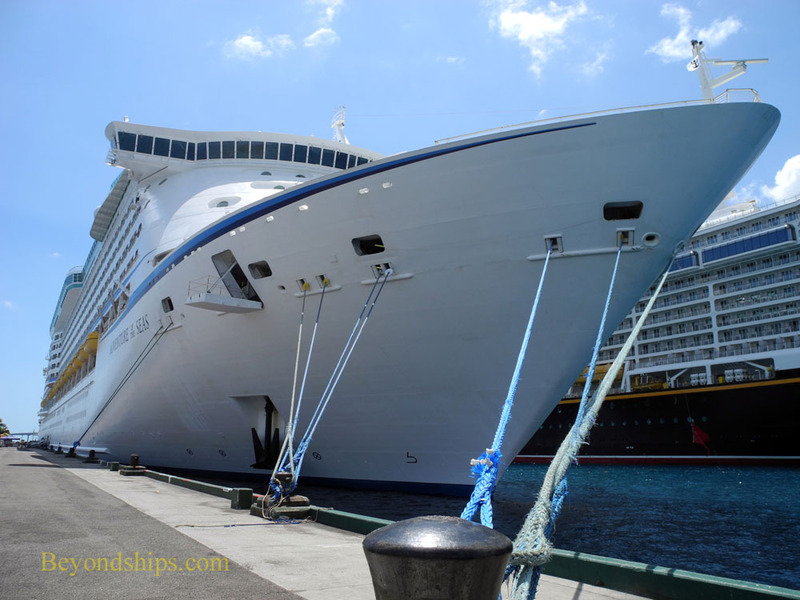 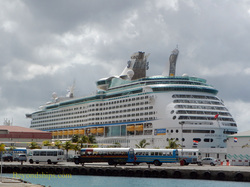 ﻿One of the most popular ports in the Eastern Caribbean is﻿ St. Maarten. 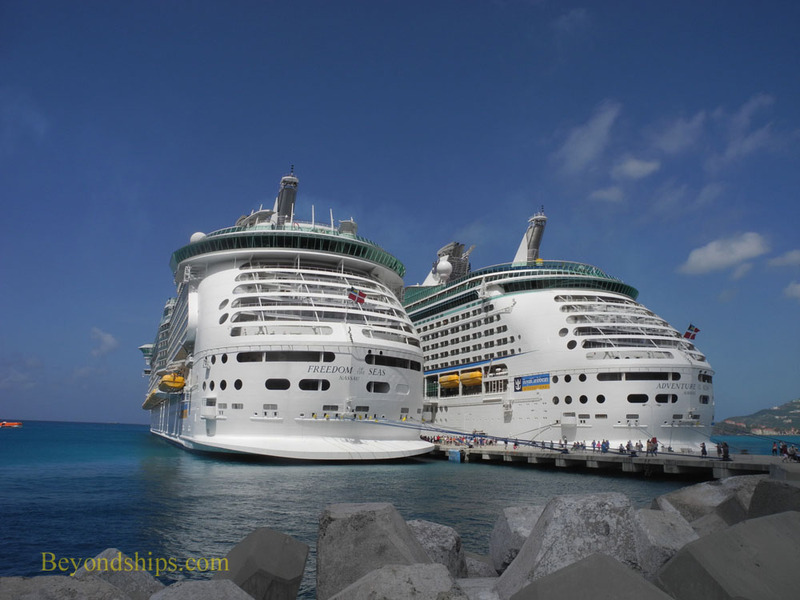 ﻿Here, Adventure shares a pier with fleetmate﻿ Freedom of the Seas.